The year of Profumo, great train robbers, ‘loveable mop tops’ – and the grassy knoll. 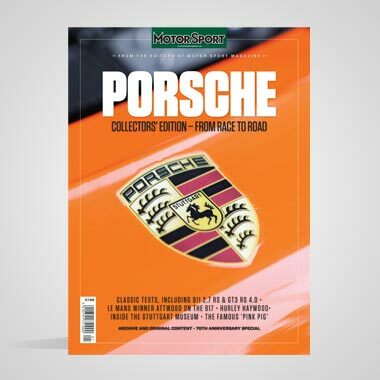 In its midst, a quiet Scottish hill farmer delivered on all the promise that had been so smack-in-the-face obvious to lovers of motor racing in the three seasons past. 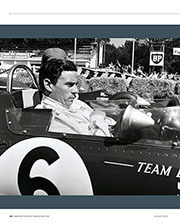 Fifty years ago, Jim Clark embarked on a run of success that would confirm him as the greatest racing driver in the world, perhaps the greatest we’d yet seen – or would ever see. These were indeed halcyon days. 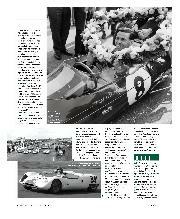 Silverstone Classic, the world’s largest historic race meeting, will celebrate Clark’s ’63 season on July 26-28. No wonder. 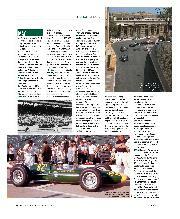 In this unforgettable year, Clark and Team Lotus first headed west to take on the Indianapolis 500; back in Europe and armed with Colin Chapman’s groundbreaking monocoque Type 25, they won the first of five British Grands Prix; then between regular (and endless) continental sorties – perhaps in Chapman’s Piper Commanche or Jack Brabham’s Cessna – they claimed that historic first world title. The scope of Clark’s season would be unrecognisable, impractical and plain impossible to such as Sebastian Vettel. So for the record, here it is: the breakdown of the days, weeks and months that made Jimmy the most cherished talent of his era. Then to offer a modern perspective, David Coulthard slides into his beloved countryman’s seat to discover what life was like before the days of downforce. 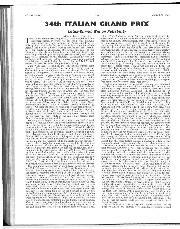 The answers, as you will read, left him whooping with joy. 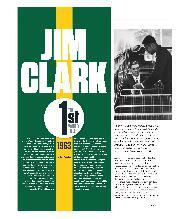 Lotus boss Colin Chapman worked his star turn hard and Jim Clark was ultra-keen to please at this stage of his career. Though shy with strangers, he revelled in his public displays of virtuosity. Driving was how he expressed himself best. Time spent at his family’s Borders farm recharged the batteries, but he was most serene behind the wheel. It was where his doubts, worries and rivals fell away. He could with apparent ease drive anything faster than anyone else could or cared to. 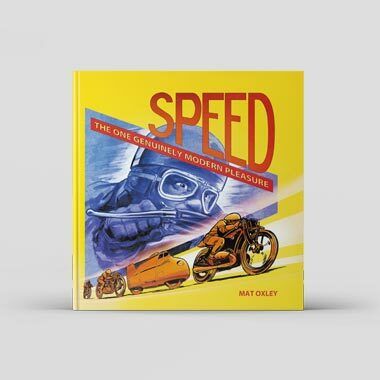 This talent had broadened his horizons and he was eager for yet more new challenges: it was in 1963, with its added incentive of the Indianapolis 500 – a journey into the unknown – that he confirmed his greatness. 7th Clark samples the prototype Lotus Indycar at Snetterton. A lengthened, strengthened Type 25 F1 chassis, the Type 29 features (for now) ‘stack’ exhausts, symmetrical suspension and bolt-on wheels. Despite a recalcitrant 4.2-litre pushrod Ford V8, he beats easily his 2.5-litre F1 track record, and impresses when his report of an exhaust rattle unearths a spare bolt caught between tub and primaries. 14th With Chapman and the 29, now painted green, he flies to LA, meets Dan Gurney and his crew and travels with them to Ford’s five-mile banked oval at Kingman, Arizona. 7-18th He shares the testing with Gurney and laps at 165mph. The engine, however, remains a concern. 23rd A modified V8 arrives at Indy minus several ancillaries, which are obtained from two rented Fairlane sedans. So much for Ford’s million-dollar attack! 24th Clark gives the 29 its first run at Indy, lapping at 140-144mph while assessing suspension and carburettor settings. 25th He laps at 146mph before being halted by wind and rain. 27th More bad weather curtails hopes of a morning run, and he and Chapman return home to contest the Lombank Trophy. 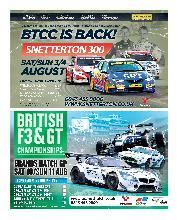 30th Having put his 25 on pole at a sodden Snetterton – by 2.4sec! 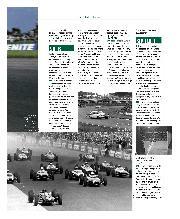 – Clark’s race develops into a lead dice with world champion Graham Hill’s BRM. Troubled by grabbing brakes, the Lotus man finishes second, 11.2sec in arrears. 6th Clark leads a Lotus 23B sweep of the first four places in the British Empire Trophy sports car race at Oulton Park. He is driving for Normand Racing. 12th A lift to Edinburgh, a ‘hop’ to London, and a flight to southwest France: Continental start money has overtaken plans to contest Goodwood’s Glover Trophy. 13th Despite being unhappy with his 25’s handling on Dunlop’s new R6, he is three seconds faster than the rest during an overcast afternoon practice for the Pau GP. 15th Easter sunshine melts tar and the start is delayed so cement dust can be spread. Wearing dark goggles against the glare and a plaster ‘moustache’ against the flying stones, he shares the lead with team-mate Trevor Taylor during a 100-lap ‘demo’ before winning by a nose. 19th Clark sets fastest time on the opening day of practice for the Imola GP, the first car race at the track since 1956. 20th Another pole: 2.5 sec quicker than Taylor, who loses a heap of time because of gearbox woes. 21st Another sunny day, another Clark walkover. 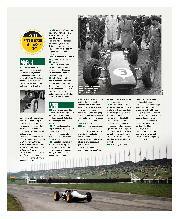 Only Jo Siffert’s Lotus-BRM finishes on the same lap. 26th More sunshine, this time in Liverpool, and another pole, this time for the Aintree 200. His advantage is eight-tenths. 27th Clark throws up a warning arm and the field swerves around him. His battery is flat and fitting a replacement costs almost two laps. Still the car isn’t right, so Chapman puts him in Taylor’s 25 and vice versa. Aboard a car on carbs rather than fuel injection, he drives brilliantly to finish third. 30th His Indycar arrives at Heathrow three days late, mechanic Bob Dance completing its build in a cargo shed. Along with British photo-journo David Phipps, acting as ‘general coordinator’, Clark collects it from Weir Cook airport. No customs, no documentation, they hook it behind their Oldsmobile Starfire – Ford has not supplied courtesy cars – and tow it eight miles to Indy. Phipps spots Clark’s waving and speeds up. He was signalling him to slow down. 1st Somewhat grumpily, Clark begins from scratch the series of rigid rookie tests. His 146mph lap in March carries no weight. 6th Now on asymmetric suspension and harder Firestones, Gurney laps at 149mph; Clark is a fraction slower. Rivals demand they be given the smaller-diameter, wider tyres used by Lotus. An incensed A J Foyt calls Goodyear to implore it to come racing. It does. 7-8th Clark returns to the UK, via Chicago, and drives to Silverstone. 9th Practice for the BRDC International Trophy is a trial. His 25 still handling badly on R6s, he is only sixth quickest. 10th Rain. He has a run in Taylor’s car, spins and damages it. Is he jetlagged? 11th Not a jot. He dominates in front of an estimated 100,000 crowd. Back on R5s, he takes the lead on lap four and wins at a canter. One hour later he is on a plane again: Chapman’s Miles Messenger. ‘Chunky’ opens its throttle – and nothing happens. They’re stuck in mud in a field next to Stowe Corner. Uproarious, Clark and Gurney get out to push. They’re due at Indy at 8am the next day. 12-16th Clark continues to dial in to Indy. With Lotus having given Firestone the nod, he has swapped his blue Dunlop overalls for a jazzier pair – pale yellow with a broad turquoise stripe edged in red down each arm and leg; they are made by local firm Hinchman. He is also persuaded to swap his peakless crash helmet for a peaked Bell Magnum. 17th After another washout, he draws number seven in readiness for Pole Day. 18th He circulates at 153mph – a 1mph improvement – during warmup, but then Gurney crashes at Turn 1, wrecking the team’s only pair of Halibrand wheels. Thus Clark, his Bell still silver rather than blue, has to qualify on narrower rims, unscrubbed tyres and unsuitable camber settings. He does well to be fifth fastest: 149.75mph. 19th Gurney qualifies 12th and joins Clark and Chapman on their return to Europe. The Monaco GP beckons. 22nd Clark flies from London to Nice. Team Lotus are based at a small hotel in Eze. 23rd Fastest in the opening afternoon session in Monte Carlo, Clark is also secondfastest in the spare ‘carburettor’ 25. 24th He’s fastest again, this time in the early morning cool. Having waited until a quick lap from Gurney’s Brabham draws him out, he secures pole with five minutes to go: 1min 34.3sec. 25th Running on full tanks in the afternoon, he laps at 1min 35.5sec. He is three-tenths faster in the spare. 26th Fuel misting from breathers and entering the inlet trumpets causes his Climax to run rich in the early laps. Pushing hard to compensate, he grazes a lamp post (some say hydrant). Eventually he establishes a lead but, first, his clutch fails, and then, with 21 laps to go, he gets stuck in fourth gear at Tabac; he had been ‘babying’ the fragile transmission rather than treating it positively. At the Gasworks Hairpin, it all locks solid and he spins into retirement. He is classified eighth. 27th With Chapman and Gurney, plus RAC senior timekeeper Cyril Audrey, he sets off at 4.30am to catch a BEA Comet from Nice. London. Chicago. Indy. 29th Carburation Day: lastminute checks, plus a chance to get acquainted with Bill Stroppe’s NASCAR refuelling crew, flown in by Ford from Atlanta: ‘Big Jim’ Gardner on the rightrear impresses with his strength and dexterity; transmission expert Pete Weismann deftly wields the fuel hose. 30th Memorial Day sunshine. Cars on the apron by 8.30am. ‘Spectacle of the Bands’ at 9.30am. On the Banks of the Wabash. Cars on the grid by 10am. Astronaut Gordon Cooper. A 10 minute track inspection. Star Spangled Banner. A military band. Taps. Ten minutes to go. Back Home Again in Indiana. Three to go. Gentlemen, start your engines! No wonder Clark is relieved when the Chrysler Pace Car gets rolling. Three and a half hours later he finishes second behind ‘Parnoily’ Jones. Rookie of the Year, he impresses with his driving – he led for 28 laps – and dignity amid the controversy. His winnings total $56,238 and his Lotus contract allows him to pocket 45 per cent. 1st His scheduled car unfit, he drives local man Al Pease’s 23, which is sponsored by Honest Ed of Toronto bargain basement fame. 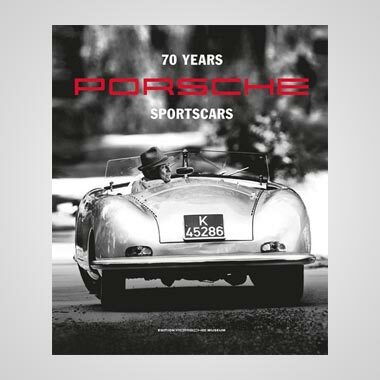 It’s no match for the Porsches and he finishes third in class, eighth overall, before returning with friend John Whitmore, who had raced an Elan at Mosport, to the UK that evening. 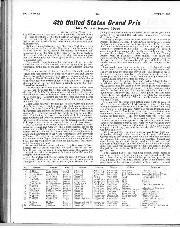 3rd The F1 race at Whit Monday Crystal Palace having been cancelled, the 36-lap sports car encounter is the meeting’s main event. Clark wins it in a Normand-run 23B. 5th He and Chapman embark for the Belgian GP at Spa. 7th First practice is at 5pm. His 25 wears a deflector screen that he looks over rather than through. (He reverts to the more reassuring conventional item for the race.) Hampered by ‘pointy’ Monaco settings and then by a gearbox problem, he sits disconsolate on the pit counter while his ZF is disassembled and checked. 8th Restricted by more gearbox bothers after lunch, he qualifies only eighth. 9th Rain, thunder and lightning give way to more hopeful conditions as the 3.30pm start approaches. The track is almost dry for the parade lap. But it’s raining when he makes a rocket start to lead into Eau Rouge. Despite holding the car in top gear, he fends off Hill until the BRM retires with transmission trouble. At which juncture a storm rolls in (on lap 17). Speeds dip to 60mph in places; Clark’s 29th lap is 2min 43sec slower than his fastest. Chapman tries to get the race stopped, but it runs its 32-lap course. Soaked, Clark parks immediately after the finish rather than complete a lap of honour. The Cooper of Bruce McLaren is 4min 54sec behind. The rest have been lapped. 21st …and so Clark has to sit out the morning session at Zandvoort. He is immediately quick in the afternoon, though still frustrated by Dunlop’s reworked, inconsistent R6s. 22nd In sunny but windy conditions, he stuns the opposition with a lap six-tenths faster than their best. The ‘highlight’ of his day, however, is a scuffle with policemen, who single him out from a group watching at Hunzerug. 23rd Clark takes the lead of the Dutch GP at the first corner and is never headed. He laps the entire field. 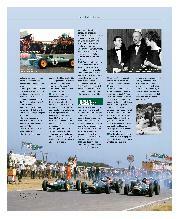 26th Lotus sends three cars to the French GP: for Clark, Taylor and Formula Junior rising star Peter Arundell. Clark is fastest during the evening session at Reims. 27th Lotus sits tight: rain. 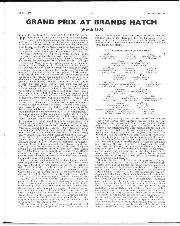 28th Clark is not permitted to run Arundell’s FJ car amid the F1s. He eventually sets pole, 0.7sec faster than Hill’s BRM. 29th A day off. Well deserved. 30th Perennially bungling starter ‘Toto’ Roche allows Hill to be illegally push-started before sending the field on its way. Clark establishes a strong early lead, his 25 handling better than it has all season, albeit on a set of Dunlops in their fourth consecutive GP. When his engine falters on lap 14, however, he fears the worst – and prays for rain. It arrives. Now he worries his worn tyres won’t cope. It rains just enough and he wins by more than a minute. His V8 is later found to have two broken valve springs. 12th Clark tests a 29 at Milwaukee to finalise ratios and Dunlop compounds for August’s 200-miler. He lowers the record from 34.09sec to 32.65sec. He also samples the Ford Galaxie of Jim Hurtubise. 18th The Lotuses arrive at Silverstone for the British GP sporting Indy-inspired central yellow stripes. Clark misses much of the morning session because of a burst water pipe. He is fastest in the afternoon by a second. 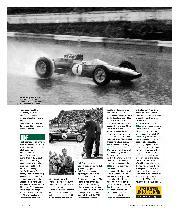 19th Dan Gurney’s Brabham matches him, but Clark’s fastest lap of the previous day is good enough to secure pole. 20th An imbalance on smaller-section rear tyres requires a tweak of pressures on the grid. As a consequence, he is cautious initially on a track slicked by oil. Fifth into the first corner, he’s in front by the fourth lap and pulls away remorselessly before backing off with his lead at 50sec. A bag tank had kinked while being brimmed, so he’s worried he might not have enough fuel. He embarks on a top-gear ‘economy drive’ – and still wins by 26sec. A piper plays Scotland the Brave as the winning car, plus its driver, designer and crew, is paraded on a trailer behind a tractor. 26th Clark stops after only nine laps in a two-hour practice session at Solitude, near Stuttgart. Nobody can get within five seconds of his 3min 50.2sec. 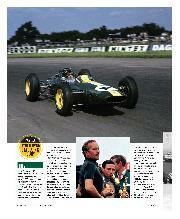 27th He waits until Brabham gets close – 3min 51.8sec – matches him, and then does a 3min 52.6sec on full tanks. 28th His 25 has experimental driveshafts, which fail at the start. Clark helps with pit duties while a repair is made before venturing out for 10 laps – for the hell of it. He leaves the record at 3min 49.1sec. 2nd Afternoon rain at the Nürburgring prevents his responding to the morning speed of John Surtees’s Ferrari. 3rd His Lotus fitted with a fresh engine and gearbox (minus reverse in a bid for better reliability), Clark beats Surtees to pole for the German GP by nine-tenths. 4th He makes his customary lightning getaway, but when accelerating in third gear feels the car “hang”: a dud plug. Clark’s engine misfires throughout, his gearbox grumbles towards the end, and Surtees relegates him to the only second place of his world championship GP career. 5th Having dashed from Germany, he drives Alan Brown’s Galaxie ‘Yank Tank’ at Bank Holiday Brands. Despite it wallowing on incorrect springs – the correct ones are on a plane coming from America – he wins the 20-lapper. 11th Brabham gives him a scare in the Kanonloppet F1 race at Karlskoga, Sweden. Starting from pole, ‘Black Jack’ leads the first 20-lap heat in pouring rain until his engine hesitates, low on fuel, on the penultimate lap. Clark sweeps by to win – and secures overall victory later with a third place behind Brabham and Lotus team-mate Trevor Taylor. 17th Clark and Gurney attend a USAC race on the dirt oval at Illinois State Fairgrounds. For once Clark refuses the offer of a drive. 18th Having clipped more than a second from the record to take pole for the Tony Bettenhausen 200 at Milwaukee, he leads all 200 laps, slowing to ensure he doesn’t cause offence by lapping runner-up Foyt. Clark wins $11,413. 20-21st Clark and Gurney test at the one-mile Trenton oval in New Jersey. Running on untried tyres, Clark regularly breaks the lap record until the track’s more steeply banked corners generate a critical loading and cause the steering arms to bend and crack. 31st His brand new 25 at the non-championship Austrian GP at Zeltweg is in development spec: aircraft-type flexible throttle cable, revised radius arms and VW-based Hewland. He does 48 laps to put mileage on the gearbox and sets the fastest time, 1.2sec quicker than Brabham. 1st A split oil pipe curtails his morning session. He switches off before damage is done, but it’s clear the track’s ridged surface is causing problems. He takes the lead on lap four but stops five laps later in a plume of smoke. He returns just before mid-distance but stops again after three laps. 6th Official practice for the Italian GP begins at 3.30pm – on Monza’s combined road-and-banking layout. After a Lola sheds a wheel police deem the banked section unsafe (for spectators); only the road course is to be used. The session restarts but ends prematurely because of a fierce storm. 7th Practice begins an hour early to compensate for time lost the previous day. Blighted by an unwilling engine, Clark spends much of the four hours in the pits, where even Coventry Climax designer Wally Hassan cannot completely cure the problem. Feeling “dismal”, Clark qualifies third, 1.7sec slower than Surtees in the latest Ferrari. 8th He quickly comes to grips with new engine and gearbox, ratios and tyre sizes, and finds an extra 500rpm in the slipstreams of Surtees, Hill and Gurney. His rivals drop out one by one and eventually he is able to ease off and cruise home to secure his and Lotus’s maiden world titles. Chapman sits astride his engine cover as he takes him on a lap of honour, during which they pick up stranded team-mate Mike Spence. The pits a seething mass of well-wishers, Clark nips into Dunlop’s enclosure – whereupon he’s informed the police want to see him in the organisers’ office. There he is ordered to sign a letter confirming his attendance in court the following morning. The von Trips Affair – he was involved in the 1961 accident at Monza that killed the German racer and a dozen spectators – has reared up again. He refuses to sign, but will be allowed home if he supplies the address of an Italian legal representative. 9th He returns to the UK in Brabham’s Cessna; they take-off at 7am. Upon Clark’s arrival, a press conference at a friend’s Fleet Street office is hastily arranged. This becomes a grilling about the von Trips Affair rather than a breezy Q&A about the world titles just won. The new champion’s head is “buzzing” when the working day ends at 8pm. 12th A friendlier welcome awaits him at home. A huge crowd turns out to cheer as he progresses in a white open-topped double-decker bus. He also takes the opportunity to drive a 1901 Burrell traction engine as part of Scottish Week in Duns. heavily laden Piper Commanche. From London they fly to Canada, where a Ford of America executive plane collects them for the last leg to Trenton. 22nd Despite only a few hours’ sleep, he grabs pole and is poised to run away with this 200-mile USAC race when his 29 emits a cloud of blue smoke on lap 49. A scavenge hose, probably damaged in transit, has failed. He collects a cheque for $167. 28th He qualifies an ill-handling Normand 23B second for the Autosport Three Hours at Snetterton. The team is running three cars and none other than Mike Costin reckons Clark’s is a ‘start money special’. Yet he wins by two laps from Mike Parkes’ Ferrari 250GTO – and then hops into a Lotus Cortina to finish second behind Brabham’s Galaxie. 4th It’s chilly when the cars venture out at 1.10pm for the first five-hour practice session at the United States GP. Hill pips Clark to P1 by a tenth. The former’s time, however, is regarded as dubious. 5th The second session at Watkins Glen is warmer. Hill and Clark fail to improve yet qualify first and second. 6th Clark’s race almost doesn’t happen. He stalls on the dummy grid because the fuel pressure pump is playing up and the battery is flat. A new battery is fitted, but not before the field has begun its second lap. He gives chase and sets fastest lap, but the pump continues to give trouble and he settles for third. 12th … so he swaps to the 23B of Bob Challman, Lotus’s abrasive West Coast dealer, and qualifies 19th. 13th He finishes fifth overall and wins his class. 18th Only the first six grid places for the Monterey Pacific GP at Laguna Seca are decided in this session; he qualifies second in the Arcieros’ 19, seven-tenths slower than Bob Holbert’s King Cobra. 20th Clark has not long inherited the lead when he draws to a halt at the top of the Corkscrew after 31 laps because of a broken oil cooler. 25th High altitude – 7400ft above sea level – wreaks havoc with the injection on his 25 and max revs prove elusive. But still he’s the only man to break the two-minute barrier on the opening day of Mexican GP practice. 26th Despite sore sinuses, legacy of water-skiing with Hill in Acapulco, he knows his pole position is safe. It’s raining. His gearbox is stripped overnight in a local Ford garage to investigate why it keeps jumping out of second. 27th Having met the President, he dominates a dry GP, leading every lap and finishing 1min 41.1sec ahead of Brabham. He also sets fastest lap. 28th Clark, Chapman, Gurney and Vic Barlow of Dunlop travel to Indianapolis for a three-day test of Ford’s new quad-cam engine. 31st Clark takes the wheel of the 29 ‘mule’. Running on Weber carbs rather than Hilborn injection, the engine suffers a flat spot – when the gearbox at last allows Clark to engage top gear. He tries experimental Dunlops, and then samples the Goodyear Blue Streaks that so worried him at Riverside. Assured of their safety, he is unamused when a rear shreds at 180mph. 7th He drives a twin-engine Mini Moke in the televised Autopoint at Bagshot. He gets bogged in mud in the first heat but wins the remaining two. 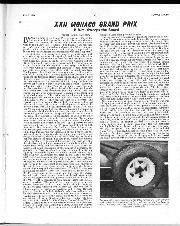 13th A recent recipient from PM Alec Douglas-Home of the Sports Writers’ Association’s Sportsman of the Year, Clark foregoes a test at Kingman and qualifies fourth for the non-championship Rand GP at Johannesburg’s Kyalami. 14th Scorching weather causes his high-pressure fuel pump to seize in the first 25-lap heat. The problem is eased later, but he can only manage fifth and is classified 16th overall. 26th A cool breeze takes the edge off the heat as practice begins for the South African GP at East London. He suffers third-gear trouble, and is just as quick in Taylor’s 25 to begin with. He eventually works down to 1min 30.2sec. But Surtees’s Ferrari, the winner at Kyalami, is four-tenths faster. 27th The second session is cooler. Well, it is 6am. Third gear’s selector breaks on what Clark was hoping would be his best lap. He still takes pole, but his margin over the Brabhams is just two-tenths. 28th The latter get the jump, but the Lotus is leading by the end of the first lap. He remains unruffled despite a gale blowing in from the ocean and wins by more than a minute. That runner-up Gurney sets fastest lap indicates that Clark is holding something in reserve – as he has been for much of the season. He’s that good. And now the whole world knows.